The ITC can host multiple research teams at any given time. The facility was designed to accommodate projects of varying sizes and power needs. Each individual test bay is fed with flue gas directly from Basin Electric Power Cooperative’s Dry Fork Station. The ITC is one of a few facilities in the world where researchers can pull power directly from a coal-fired power plant for testing. 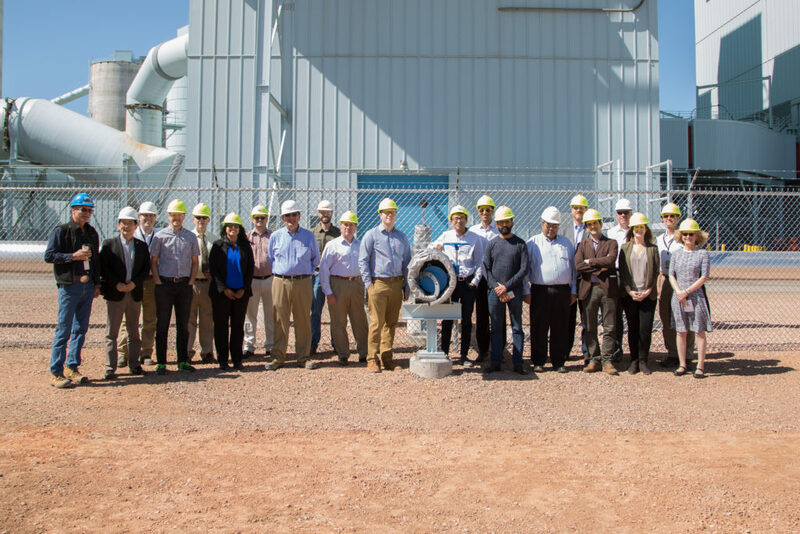 This allows tenants to test real-world applications of carbon capture, utilization and storage (CCUS) technology. Prospective tenants should review the ITC Project Managment Guide and the ITC Technical fact sheet for details on testing technologies at the ITC. To get the process started, prospective tenants should contact Will Morris. Kawasaki Heavy Industries, Ltd. is slated to test their solid sorbent capture technology at the Wyoming Integrated Test Center. The State of Wyoming and Japan have been working together since 2016, when Governor Mead and Osamu Tsukamoto, President of JCOAL, signed a Memorandum of Understanding (MOU) committing to cooperation in coal research and development of technologies and coal trade. JCOALoperates under the supervision of the Ministry of Economy, Trade and Industry of Japan and is supported by more than 120 member coal-related businesses. The organization works to promote overall coal activities, from coal mining to the field of coal utilization, toward a stable energy supply, sustainable economic growth and the reduction of the global environment emissions.